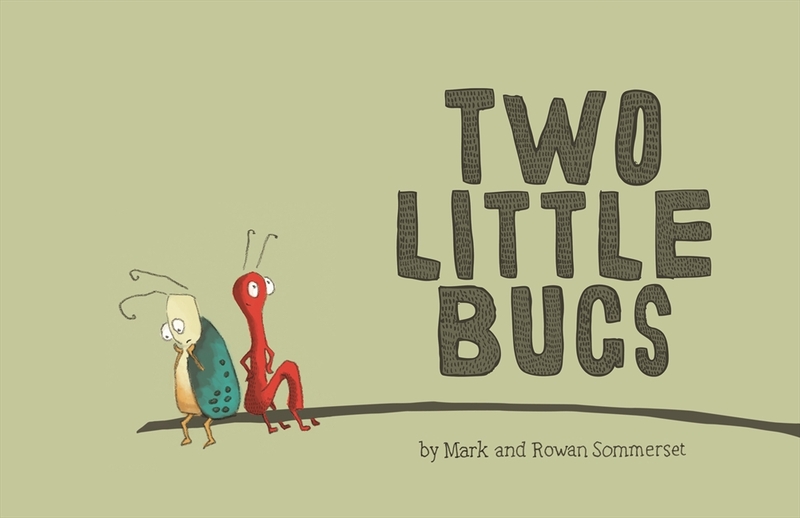 From the creators of the hilarious Baa Baa Smart Sheep and I Love Lemonade, comes this adorable little book about two little bugs and their little conundrum. Little Bug Red sits on top of the leaf. Little Bug Blue sits below. Red is in sunshine, Blue is in shade. Blue laments his shady life so Red invites him to come on up to the top of the leaf and enjoy the view. Peeking nervously through a little hole in the leaf, Blue isn't so sure. He asks Red if he will come down to the dark side and tell him all about the bright side. Red doesn't seem phased. He keeps on eating the leaf while Blue keeps on moaning, until he doesn't have - er - a leaf to stand on. 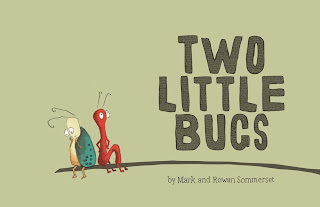 Clever, insightful, delightfully subtle on the morals - something both kids and adults warmly appreciate - this book is so charmingly illustrated, it hurts your eyes. I simply adore its holey, chewed-upon and leaf-shaped pages, its beautiful colouring and the luscious paper used for its pages. Buggishly brilliant. Next please, Sommersets!